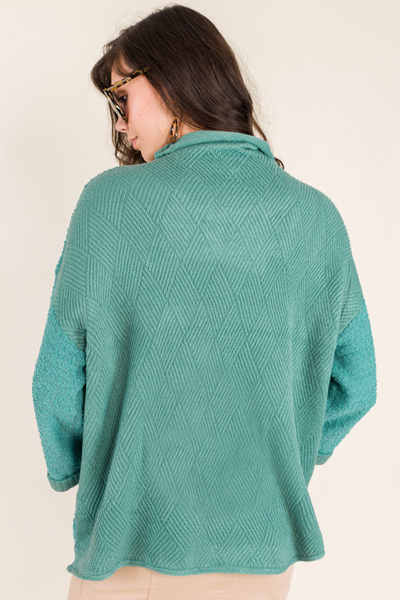 Add some color to your sweater collection with this pretty teal number! 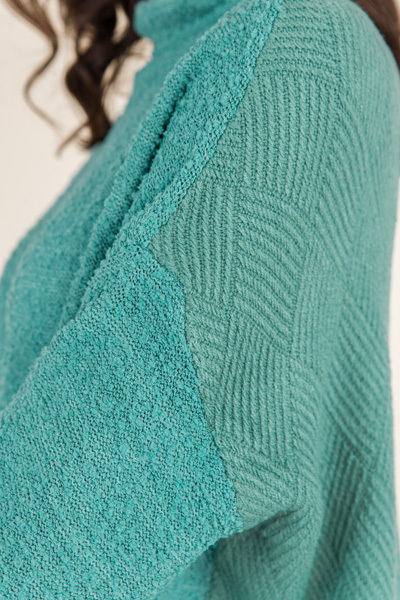 An oversized fit + boxy sleeves + cowl neckline will check all the boxes for your comfy, cute fall wardrobe. A little longer in the back for some extra coverage. Fit is a bit oversized. Modes arel wearing size small. Length measures approximately in Front/Back: 23/25.5"